Wednesday, July 4, 2018, 2:30 and 4:30 p.m.- Clermont State Historic Site. "In the Good Old Colony Days" family shows in the carriage house. 18th century reenactors, displays, and fireworks in the evening. 1 Clermont Avenue, Germantown, NY. 1-518- 537-4240. Thursday, July 12, 2018, 12:00 noon. -"Summer Songs,"Golden Hill Nursing Home, Kingston, NY. Picnic for residents only. Friday, July 27, 2018, 2 p.m.- "The Sidewalks of New York," Arbor Rose Assisted Living, New Britain, CT. Residents only. Thursday, August 2, 2018, 12:00 noon. -"Summer Songs,"Golden Hill Nursing Home, Kingston, NY. Picnic for residents only. Saturday, August 11, 2018, 10 a.m. to 1 p.m.- Copake/Hillsdale Farmer's Market, 9140 State Route 22, Hillsdale, NY. A truly great farmer's market! Thursday, October 25, 2018, 2:00 p.m., - "Country Classics," Arbor Rose Assisted Living, New Britain, CT. Residents only. Friday, October 26, 2018, 2:00 - "Uncanny Creatures and Uncommon Occurrences," Brookdale Assisted Living, Farmington, CT. Residents only. Thursday, November 8, 2018. 2:30 p.m. - Avery Heights Assisted Living, Hartford, CT. Residents only. Friday, November 16, 2018, 2:30 p.m. - "Songs of Gratitude" for Thanksgiving. The Fountains Assisted Living, 79 Flint Road, Millbrook, NY. Free. Non-residents may attend. Tuesday, November 20, 2018, 2:30 noon. -"Songs of Gratitude" for Thanksgiving. Golden Hill Nursing Home, Kingston, NY. For residents only. Thursday, December 14, 2018, 2:30 p.m. -"A Cool Yule," Golden Hill Nursing Home, Kingston, NY. For residents only. Friday, December, 2018, 2:00 p.m. - . "The Holly and the Ivy," Victorian Christmas in the British Isles. The Fountains Assisted Living, 79 Flint Road, Millbrook, NY. Free. Non-residents may attend. Sunday, December 16, 2:00 p.m. The Rockefeller Family Christmas Luncheon, Pocantico, New York. Private party. Friday, December 21, 2018, 2:00 p.m. - "The Holly and the Ivy" Brookdale Assisted Living, Farmington, CT. Residents only. 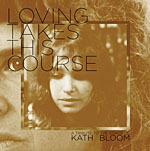 The Kath Bloom tribute album, "Loving Takes This Course", is available from www.chaptermusic.com.au and is getting fantastic reviews! It is a double CD set. 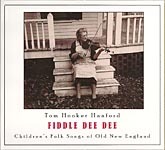 Disc one consists of sixteen artists or bands including Devendra Benhart, Bill Callahan, Mark Kozolek, Josephine Foster, Tom Hanford and others performing Kath's songs. Disc two presents Kath's own versions of her songs. 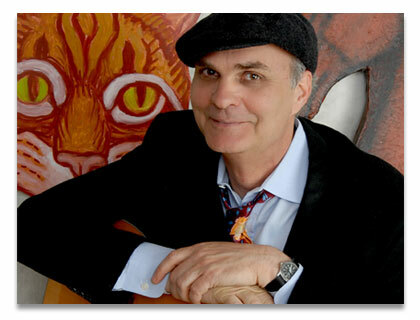 Tom plays and sings on some of those cuts.